It’s more than just a name. It’s the main ingredient in our homemade Buttermilk Waffles. 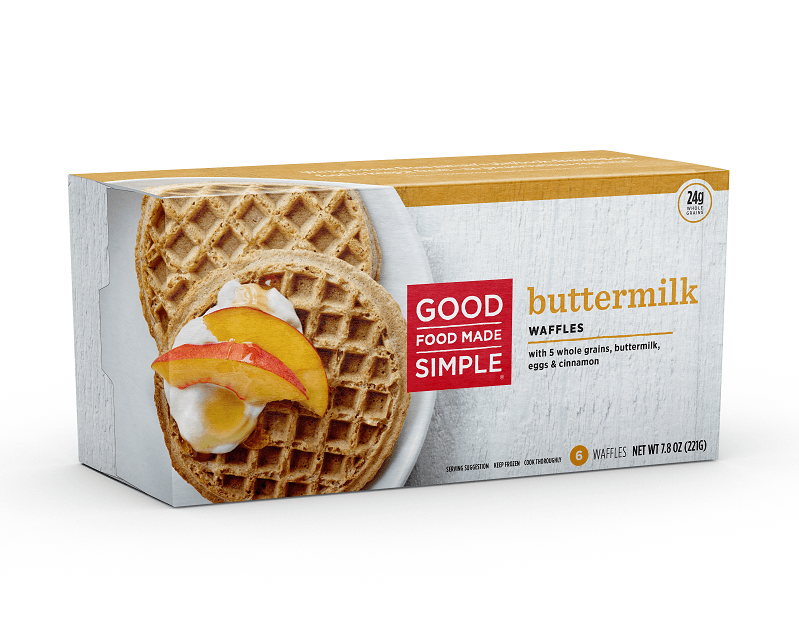 Addictive flavors that come straight from nature: creamy, tangy buttermilk, whole grain flours, cage free eggs, real butter, rolled oats and fresh vanilla. WHOLE WHEAT FLOUR, WATER, BUTTERMILK, NONFAT MILK, BUTTER, EIGHT GRAIN BLEND (WHEAT, RYE, OATS, BARLEY, YELLOW CORN, TRITICALE, MILLET, RICE BRAN, WHEAT GERM, FLAXSEED, SUNFLOWER), WHOLE EGGS, CANOLA OIL, CANE SUGAR, BAKING POWDER, PURE VANILLA, SALT, GROUND CINNAMON.